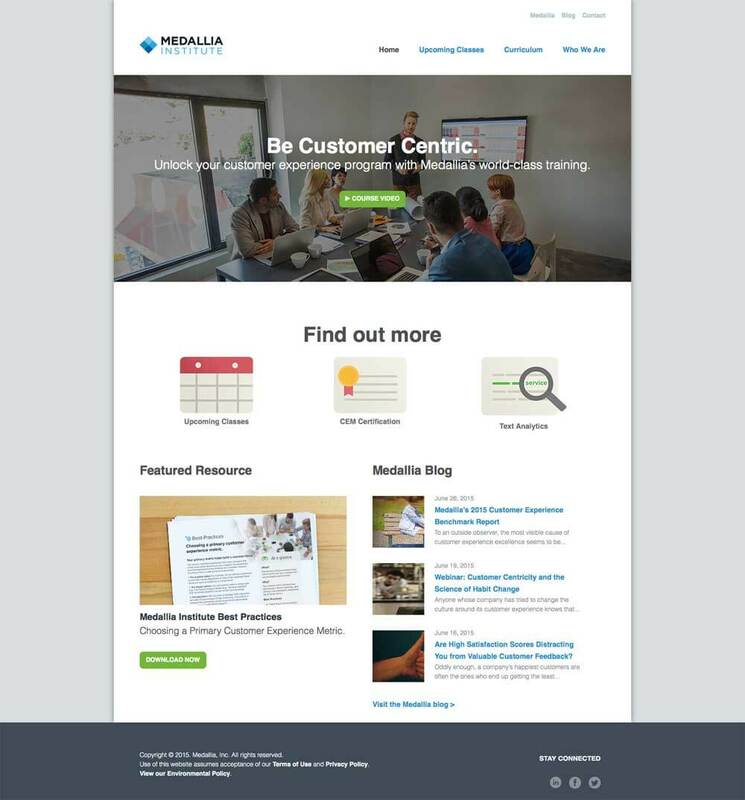 Unlock your customer experience program with Medallia’s world-class training. 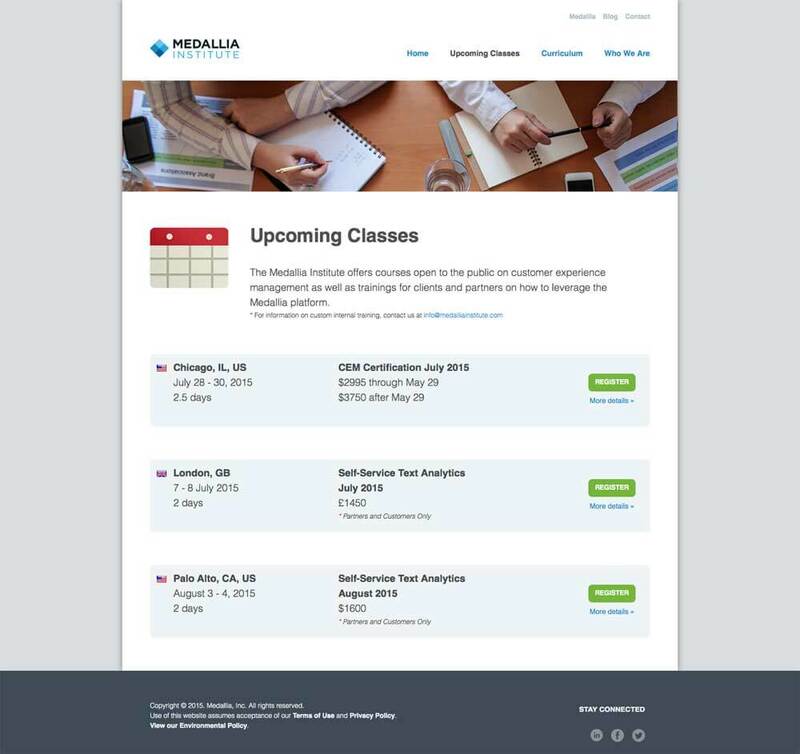 The Medallia Institute offers courses open to the public on customer experience management as well as trainings for clients and partners on how to leverage the Medallia platform. 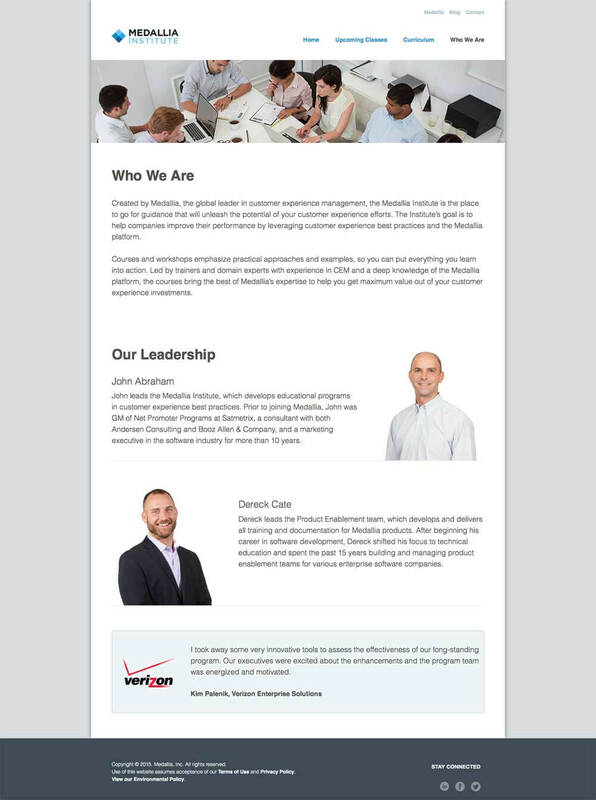 Travers + Todd was brought on to develop their interactive, media-rich microsite.